110kms from Fort Dauphin, Ifotaka is a community ecotourism project which began in 2001. It's home to Mandrare River Camp, a fantastic place to spend a few nights in luxury tents. The local Antandroy people allow for building, wood cutting, and cattle grazing in certain areas whilst maintaining environmentally important and sacred areas for ecotourism. From April to November, walks exploring the sacred gallery forest and spiny forest can be organised. 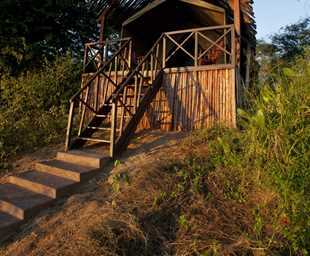 Visitors will most likely come across Verreaux's sifakas, ringtailed lemurs and an abundance of reptiles and bird life. The baobabs of this region are hugely impressive, along with the fascinating interaction with the local community and learning about their culture and beliefs.